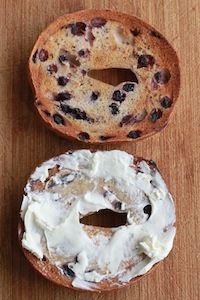 There’s been a lot of bagel-making going on around here. More about that in a later post. 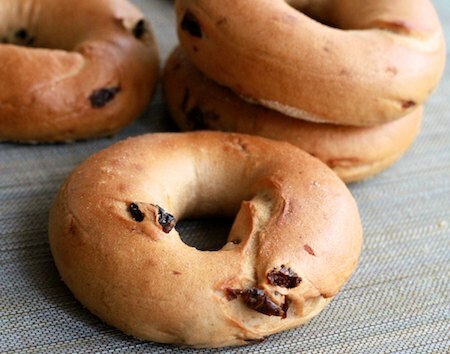 These cinnamon-raisin bagels are a lot like the blueberry bagels, only with raisins. And cinnamon. Go figure. And speaking of figures — at 85 grams, these bagels a little smaller than the 100-gram ones I’ve been doing recently. The missing 15 grams doesn’t seem to make the bagel appreciably smaller, but if I’m eating one every day (and I might be), those eliminated grams should eliminate more than three pounds from my waistline over the course of a year. I guessed at how much cinnamon to add to the dough. It wasn’t a bad guess, but if you like your bagels really cinnamon-y, I think you could double the amount and still be in the ballpark. The bagelpark? Whatever. Blueberries are everybody’s darling lately: antioxidant-rich, cancer-fighting, cholesterol-lowering, brain-sharpening, blood pressure-controlling, diabetes-battling. And they taste good, too! Even when they’re not in season, I usually keep a bag on hand in the freezer for smoothies, and a store of dried berries to throw into my oatmeal. 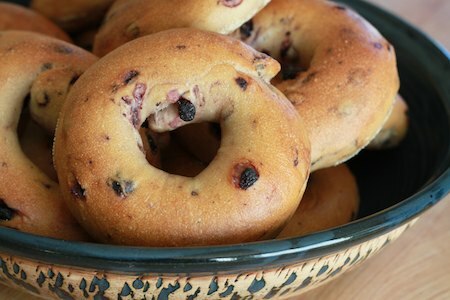 I can’t imagine why it took me this long — that is, until my number-one bagel eater made the request — to make blueberry-studded bagels. 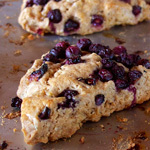 To keep the berries as intact as possible, I incorporated the dried berries into the mostly-mixed dough without soaking them first. 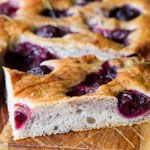 I did make the dough a bit wetter than usual to allow for the berries’ absorption of some water. 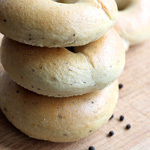 If you haven’t made bagels before, don’t be intimidated! Bagels are one of my favorite things to make. There’s lots of hands-on time with the dough, a plus in my book. 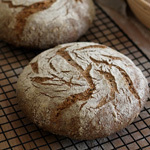 For more of my bagel opinions, take a look at my basic 100%-sourdough bagel recipe.